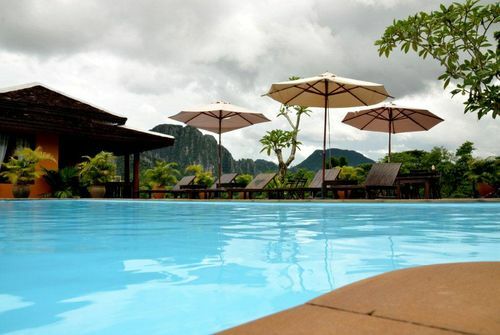 Enjoy a swim in our pool, and don't forget to check out our bar. 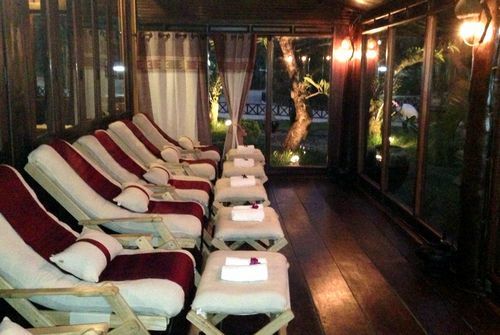 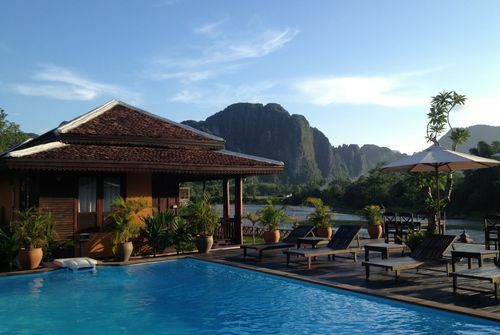 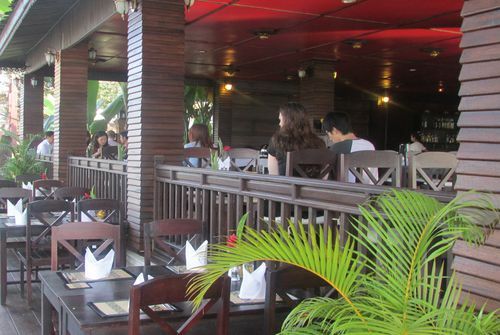 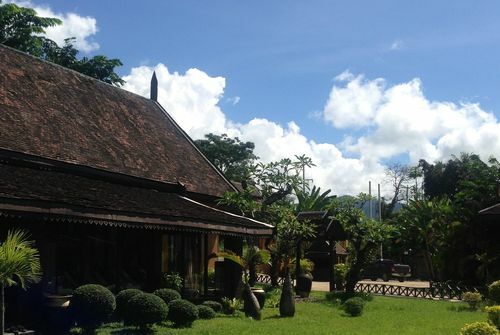 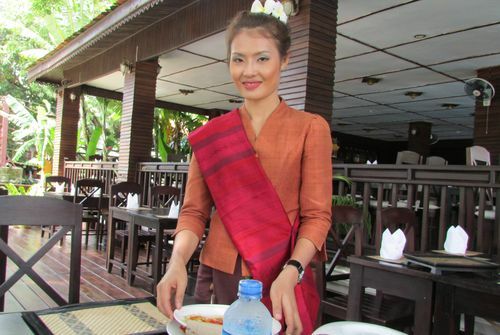 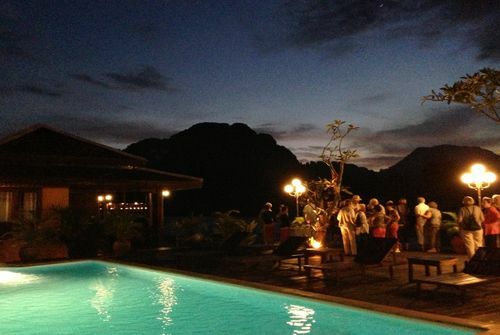 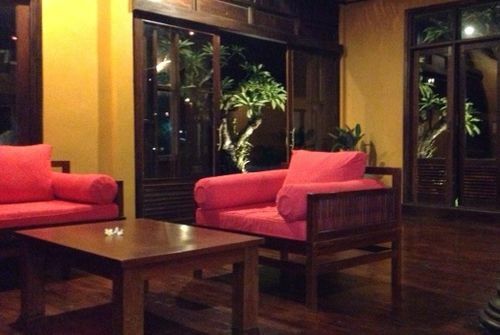 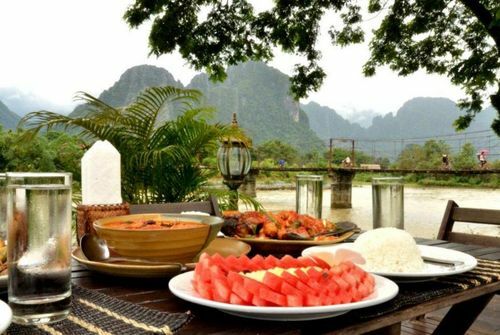 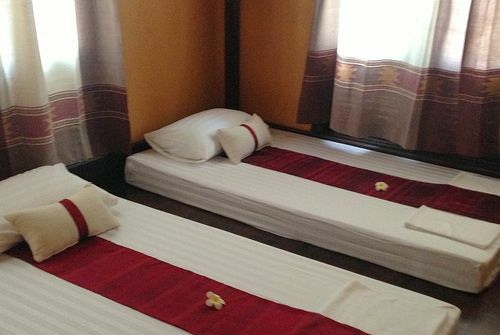 Our restaurant serves delicious Lao dishes and fresh fruits. 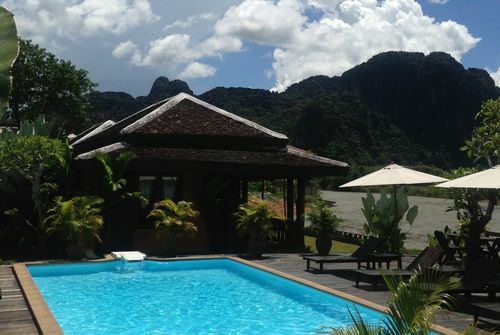 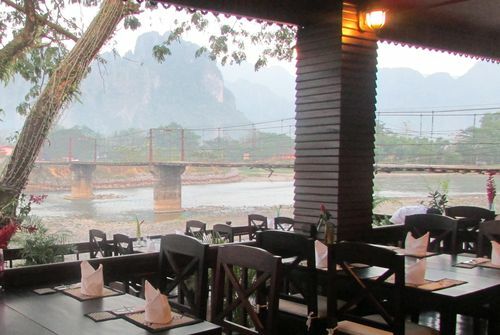 The hotel is located directly at the river, offering a great view.